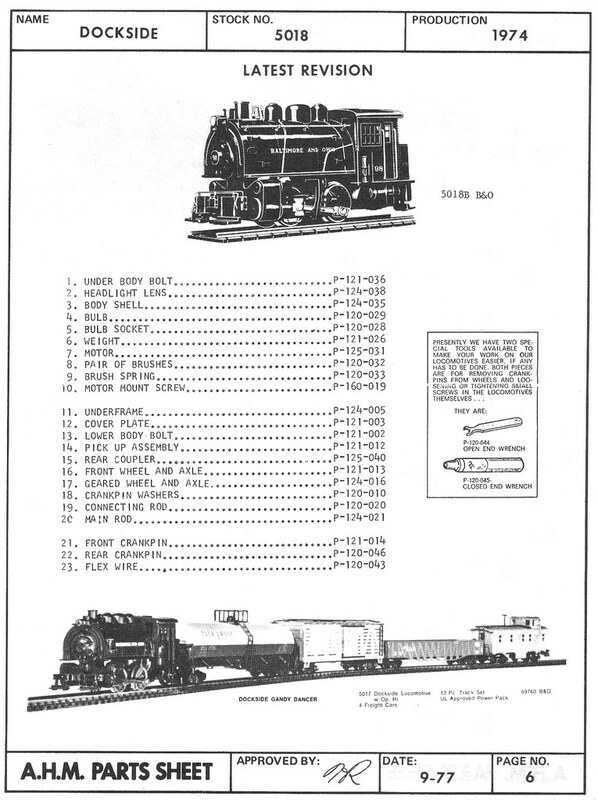 This is the original and/or deluxe example of AHM's 0-4-0 Dockside model. 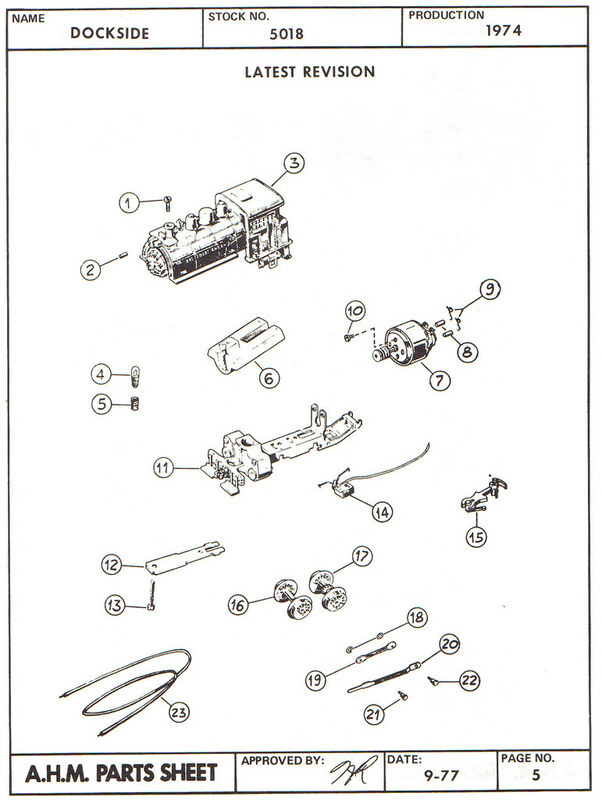 Notice the driver mechanism is more elaborate than what is found on the later production examples. 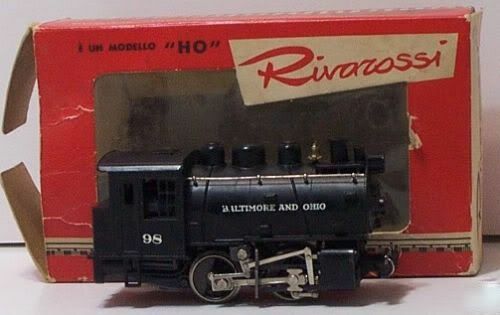 This model retailed for $7.95 in the late 1960s. 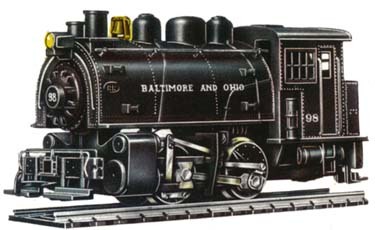 This example is AHM's simplified 0-4-0 Dockside model. Besides being offered by AHM, this little steamer or very similar replicas have been amongst offerings from others including IHC over the years. 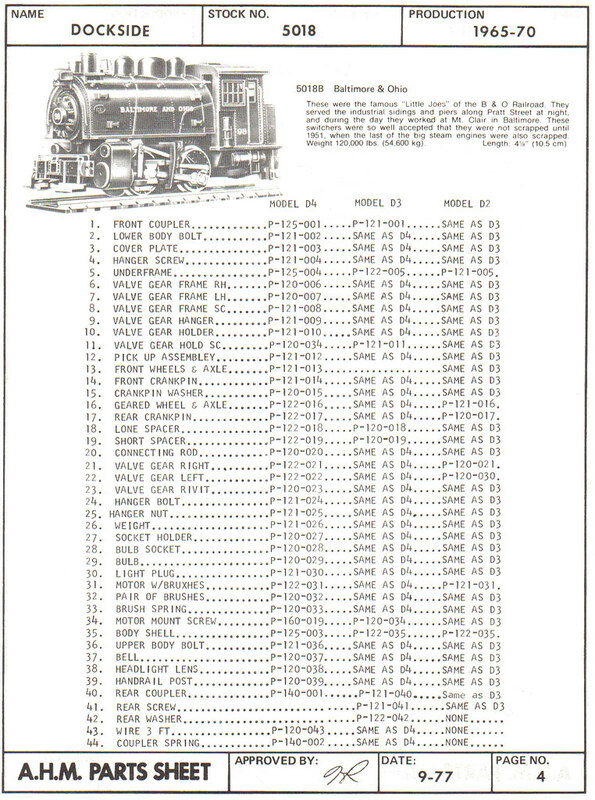 Above are links to view AHM's parts diagrams for the Dockside 0-4-0. 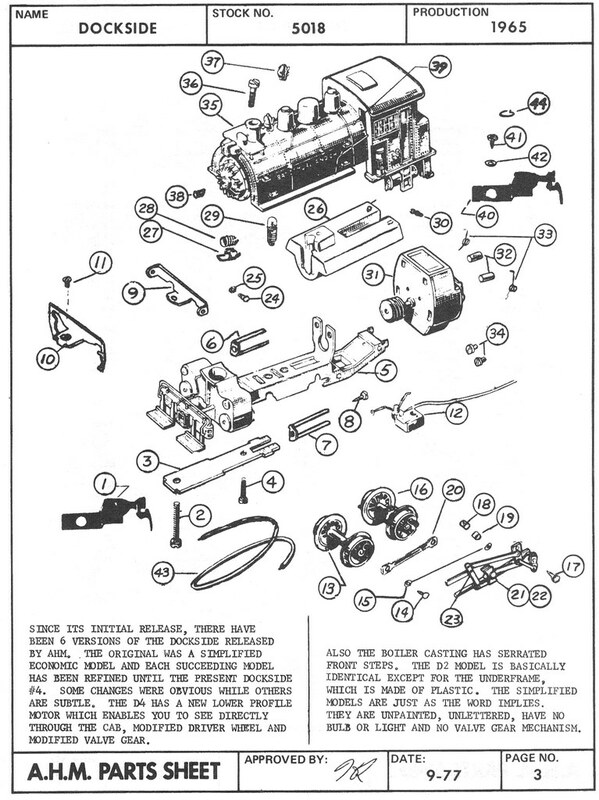 Production revisions exist over the many years the model was produced and are included. You may click on any thumbnail image to open a large version for best viewing.